The ancient practice of Yoga has long been regarded as an effective way of relieving emotional stress, curing bodily ills, and achieving personal equilibrium. This is a comprehensive, practical, and authoritative guide to the method developed over the last fifty years by B.K.S. Iyengar, the world's foremost exponent of Yoga. 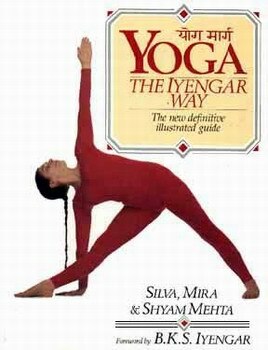 Here is a course manual embodying the purity and precision that have always been the hallmark of Iyengar's work. It features over 100 key postures each accompanied by clear, step-by-step photographs and detailed instructions, and graded according to level of difficulty. It incorporates advice for beginners and the less flexible, and expands on finer details of technique for more advanced students. The book also includes sections on pranayama (breathing), meditation, and the history and philosophy of Yoga, together with progressive courses of practice and remedial programs for a range of common problems. Fully illustrated with hundreds of photographs and written and demonstrated by students who have studied with Iyengar for more than thirty years, this book is an indispensable guide for practitioners and teachers everywhere.